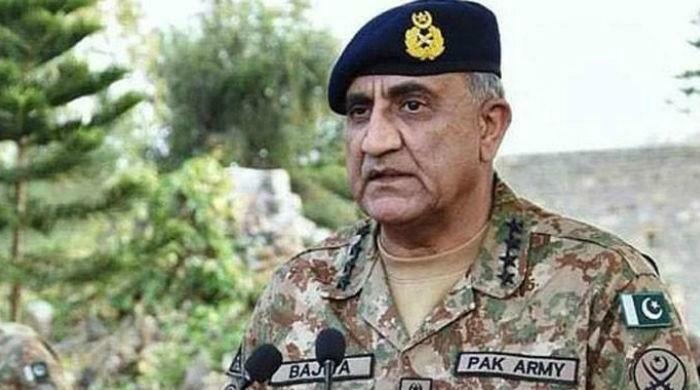 GUJRANWALA: Chief of Army Staff (COAS) General Qamar Javed Bajwa visited Gujranwala Garrison on Friday, where was given detailed briefing on operational preparedness of Gujranwala corps, an Inter-Services Public Relations (ISPR) statement said. The army chief was received by Lieutenant General Ikram ul Haque, Corps Commander Gujranwala. Gen Bajwa was briefed on the progress on operation Radd-ul-Fasaad as well as the census. He also addressed officers of Gujranwala Garrison, the ISPR statement said. The army chief later visited Pasrur Cantt, met with officers, and appreciated the state of readiness and high morale of the troops. The statement added that the army chief reaffirmed that our fight against terrorism is ongoing and the country will be rid of “fasaadis” of all kinds with the support of the nation.